High Voltage DC transmission is a method for transmitting electrical energy by means of high DC voltage. This technique is intended for the long distance bulk transmission of energy via DC, since above certain distances HVDC exhibits a lower degree of loss overall than is the case for conventional transmission using three-phase AC power, in spite of the increased converter losses. 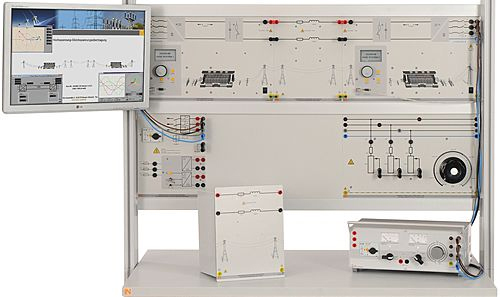 High Voltage DC transmission is frequently used for energy transmission over comparatively short distances as well if the electrical transmission line has been designed with a high degree of capacitance. This is the case with maritime cabling but also buried terrestrial lines.